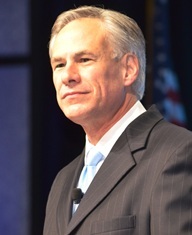 In the days leading up to the election, Texas Attorney General Greg Abbott issued an opinion about an employer's ability to ban Texans with a Concealed Handgun License (CHL) from leaving a gun locked in their private vehicle in a company parking lot. This is yet another example of the AG's steadfast support of the rights of an individual to protect themselves. The opinion, requested by Texas State Senator Robert Deuell (R-Greenville) said that Section 30.06 of the Texas penal code, which allows employers to post notices on building entrances restricting handguns or other firearms being carried on the premises, does not supersede the state law that protects CHL holders. Unfortunately, the opinion also states that Texas law currently does not provide the employee whose rights have been violated, a way to correct the situation. The opinion does say that employees might seek relief by suing their employer under the Uniform Declaratory Judgments Act. Also not addressed in the opinion is an employer's ability to prohibit non-licensed employees from locking a firearm in their vehicle as provided for by the Texas penal code's Section 46.02 on carrying a firearm while traveling. This provision allows any person to carry a weapon in their car as long as it is concealed, they are not a member of a gang and they are not traveling for an unlawful purpose.